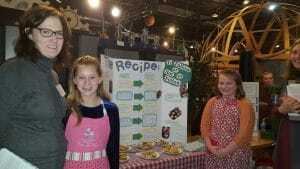 Students in grades 4th-8th showcased their scientific findings with displays featuring a range of disciplines including magnetism, food science, physics, and earth science at the 3rd annual Children’s Museum Science Fair. 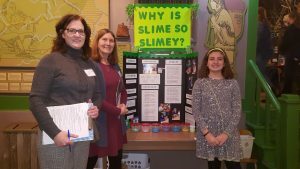 Held on January 18th at the Children’s Museum in Bloomsburg, 35 students from the central Pennsylvania region competed at this UGI-sponsored event. Displays included plants and the effects of gravity, chemical reactions in food, and what makes slime so slimey. “I was honored to participate as a judge for the 3rd Annual Children’s Museum Science Fair. 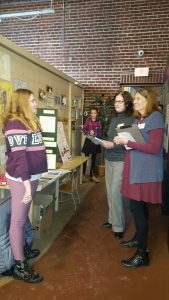 It was inspiring to see the student’s creativity and enthusiasm regarding their scientific findings,” said Ann Blaskiewicz, UGI Community Relations Manager-North Region and judge for the 6th grade experiments at this year’s Science Fair. 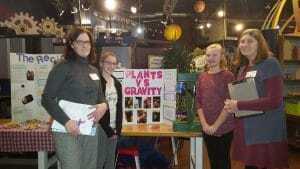 “The students clearly demonstrated the relevance of STEM with their experiments,” said Blaskiewicz. UGI supports many educational related initiatives and UGI’s participation in this event reinforced the Company’s committment to education and a focus on STEM- or STEAM-related programs. Each year, UGI proudly donates more than $1 million toward education initiatives focused on improved early childhood literacy, expanded access to STEM education programs, and technical career training and preparation initiatives. To learn more about UGI’s commitment to education, click here.